With so many people looking for a job, ironically it is challenging to acquire quality talent. When you’ve narrowed the pool and are ready to background check your candidates, you should take steps to ensure you are complying with regulatory requirements and ever-changing legislation. 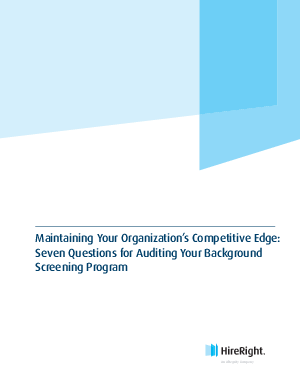 To help determine if your program is performing at peak level, examine these seven questions to help you audit your background screening program.